Transport for London has denied trialling driverless trains after a union accused it of a "secret agenda" to introduce the technology. 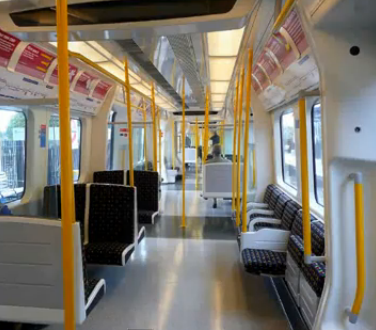 The RMT union says it has an internal document outlining a plan to introduce the trains on the Jubilee Line in three years. It claims the trains are unsafe. But TfL said that no tests were taking place. Conservatives called for the technology to be introduced, saying 25 cities already had driverless trains. Tube drivers have repeatedly threatened strikes over recent years. The current starting salary for a driver is £44,000. RMT general secretary Bob Crow said driverless trains would "leave Londoners riding a daily death trap". He said: "The proposals seek to rip up every safety rule in the book - having the trains run by remote control from signal boxes." "RMT is demanding cast-iron assurances that this whole poisonous cocktail of proposals has been dumped for good and we will have no hesitation in taking the action required to stop this." Gareth Powell, director of strategy at London Underground, said: "Given the technology now available it is very unlikely that London Underground will ever again buy a fleet of trains with conventional drivers' cabs. London Conservatives welcomed the idea of a network of driverless trains. Transport spokesman Richard Tracey called Mr Crow's comments an "alarmist rant", saying: "Driverless trains are a fact in 25 cities around the world and are perfectly safe. "The public knows it, all those folk at Canary Wharf who travel on the DLR daily know it, Bob Crow knows it. We have to make the best use of the most advanced technology to run the Underground as efficiently as possible - and that means driverless technology."